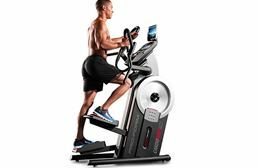 Ellipticals are a great way to get an intense cardio workout without all of the impacts that running outside or on a treadmill gives. 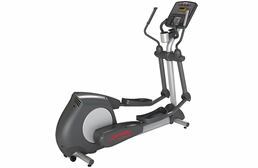 When shopping for an elliptical, please keep in mind the need to find a machine with a comfortable and natural stride. 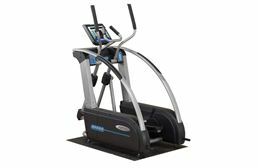 The common rule of thumb is to find a unit with at least a 20” stride so that it will more closely mimic your standard gait length. 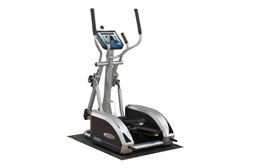 Along with finding a natural movement pattern it is also very important that you find a unit with a good, easy to use display that offers a full range of feedback and programs so that you can measure and manage your workouts. Some users like to watch tv or listen to music and feel that they don’t need a lot of programs or entertainment options, but most users find that a full range of programs helps encourage progression and better workouts. 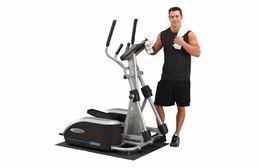 The final key item to keep in mind is finding a unit that is built to last and will hold up to a good workout day after day. It is hard to tell this in a store or online, so a good tell is what the warranty is on the frame and parts. A good warranty lends itself to the unit being a well-built machine. *Limit one offer per customer. Offer cannot be used in conjunction with other percent-off discounts. 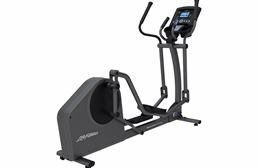 Purchases of the following are excluded: Free Weights, Bladez Fitness, and select Fitness Equipment.